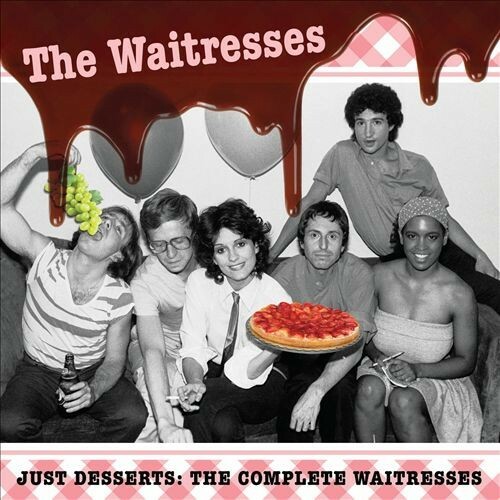 A couple of months ago the folks at Omnivore Records released Just Desserts: The Complete Waitresses, a comprehensive two-CD look at the early-80s new-wave band known almost exclusively for its freak 1982 Top 40 hit, "I Know What Boys Like." I have fond feelings for the band's "Christmas Wrapping," one of the few good holiday rock songs, as well, and the Waitresses also wrote the theme for the short-lived, now cult sitcom Square Pegs. To be honest, that was pretty much the extent of my Waitresses knowledge until I checked out the reissue. Of course, I've known for years that Chicago saxophonist Mars Williams was an integral part of the band, taking a typically overheated solo on today's 12 O'Clock Track, the aforementioned "I Know What Boys Like." Although Williams is known primarily as one of the city's most powerful fire-breathing jazz reedists, he's logged a lot of time playing in new-wave bands, whether stars like the Psychedelic Furs (with whom he still tours) and Billy Idol, or overlooked obscurities like the great Swollen Monkeys (with future Tom Waits reedist Ralph Carney). The Waitresses were formed as kind of a lark by guitarist Chris Butler (previously a member of the Akron band Tin Huey), a jokey side project that occasionally served as an alter ego for Tin Huey during live gigs when singer Patty Donahue would come onstage for a few of his tunes. He quit the band in 1979 and moved to New York, where he began playing Waitresses gigs with a shifting membership. A recording of "Boys" made back in Ohio for a regional compilation became a local club hit and led to a record deal. The lineup appearing on the band's two albums and one EP—all included on the current reissue—also included former Television drummer Bill Ficca. "Boys" appeared on the group's first album, Wasn't Tomorrow Wonderful?, in 1982, while its swan song, Bruiseology, came and went without much of an impact the following year—which for all intents and purposes marked the end of the band. The music is OK, but Donahue's limitations as a singer haven't helped the music over the long haul, and too many of the grooves and instrumental flourishes seem like stale vestiges of new wave with little staying power. Still, despite being something of a throwaway, "I Know What Boys Like" remains a killer song. You can catch Williams playing tonight as part of the annual Hal-the-Weenie homage to the great Hal Russell by the NRG Ensemble—where they spent years locking horns together—at the Hideout.